Home builders across the U.S. are struggling to come to grips with an incredibly toxic combination of rising rates and lack of affordability in the housing market. National Association of Home Builders (NAHB) Chairman Randy Noel downplayed the situation, saying customers are “taking a pause” to see how high rates will go and keeping an eye on prices. Sentiment dropped 8 points in November alone to 60. The total drop of 12 points since November 2017 is the sharpest drop in one year since 2014. The red arrow points to the start of an even bigger downward trend (sustained drop over time). While home price growth accommodated increasing construction costs during this period, rising mortgage interest rates in recent months coupled with the cumulative run-up in pricing has caused housing demand to stall. As expected, that explanation of this “toxic cocktail” sounds somewhat understated. “The U.S. housing sector is falling apart, and the Federal Reserve is all but ignoring the damage,” warned CNBC’s normally optimistic market commentator. 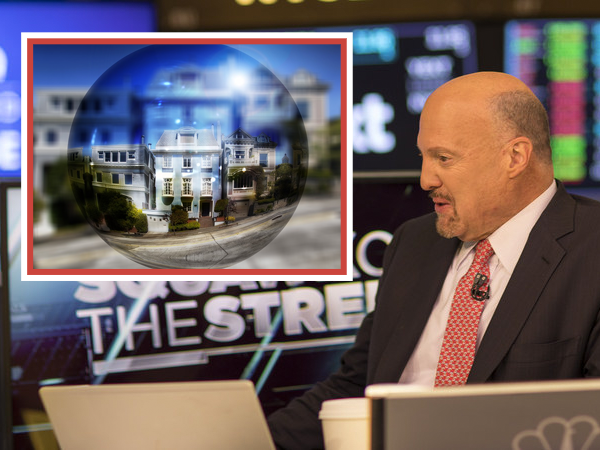 The host of Mad Money and co-anchor of Squawk on the Street, Jim Cramer is known for “finding bull markets.” But the recent mortgage rate increases and price jumps have him ripping the Fed over their apparent tunnel-vision in a recent Closing Bell episode. It’s likely the October surge in mortgage rates over 5% is contributing to the disaster. And since there are no obvious signs they will slow down, it appears mortgage rates are well on their way to 6%. Cramer supports the rate hikes, but would “like to wait” and see what happens. They have this judgment that the economy’s great. It’s an irresponsible, non-empirical judgment. It’s anecdotal. Irresponsible indeed, especially if the Fed’s tunnel vision is walking the U.S. right into another big market correction, including the collapse of a housing bubble. The Fed Not Acting Fast Enough? The Fed isn’t raising interest rates fast enough and inflation is worse than the traditional inflation gauges suggest. […] Make sure you include a meaningful allocation of gold in your portfolio. Regardless of how Cramer and Burnick feel, it is apparent that interest rates are rising, the housing market is slowing down, and economic uncertainty is reaching levels not seen in many years. During uncertain markets, diversifying some of your assets into gold and silver could protect your portfolio from financial shocks. This can help add stability during rough times. But whatever you decide to do, consider doing it now.